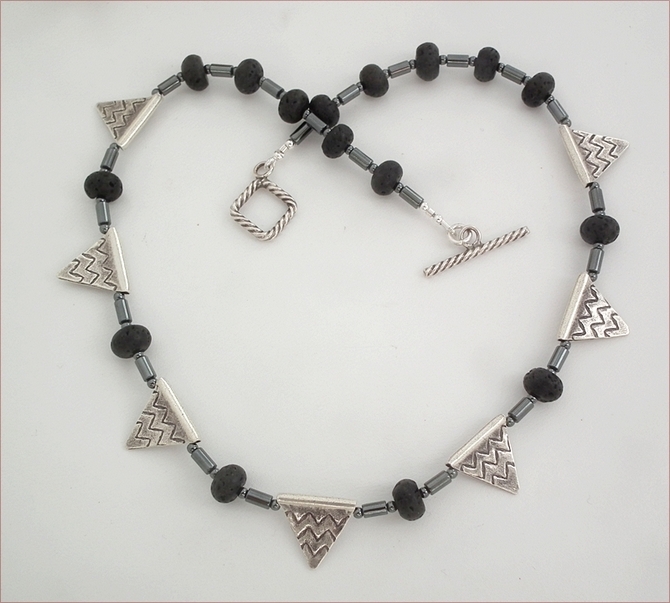 Karen Hill Tribe silver is 99% pure silver (sterling silver is 95.2% pure silver) and made by the Karen Hill Tribe silversmiths in Thailand. 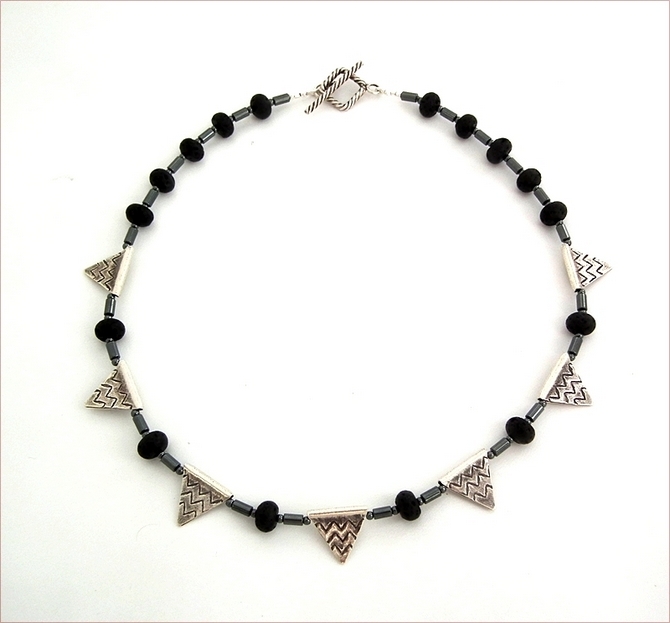 The clasp - a twisted wire toggle clasp - is also Karen Hill Tribe silver - all of it has been oxidised slightly which gives it a sort of gunmetal look. 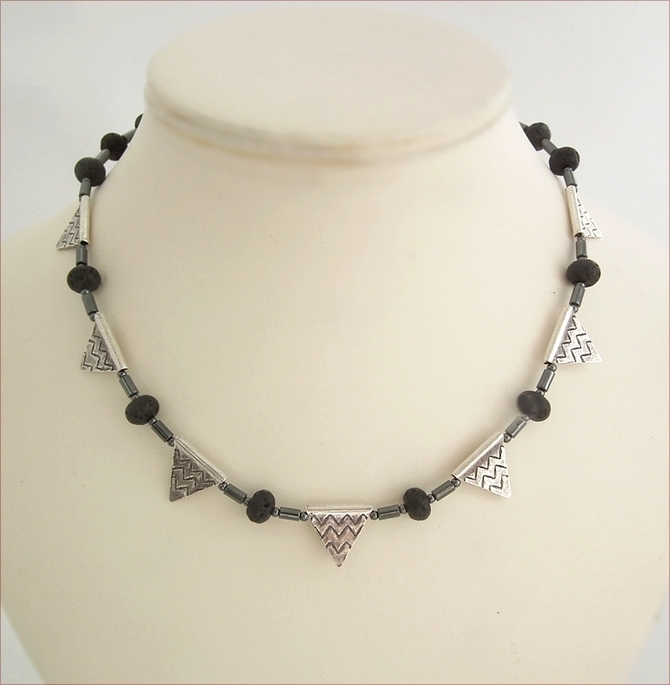 The hematite and lava stone are a perfect match. 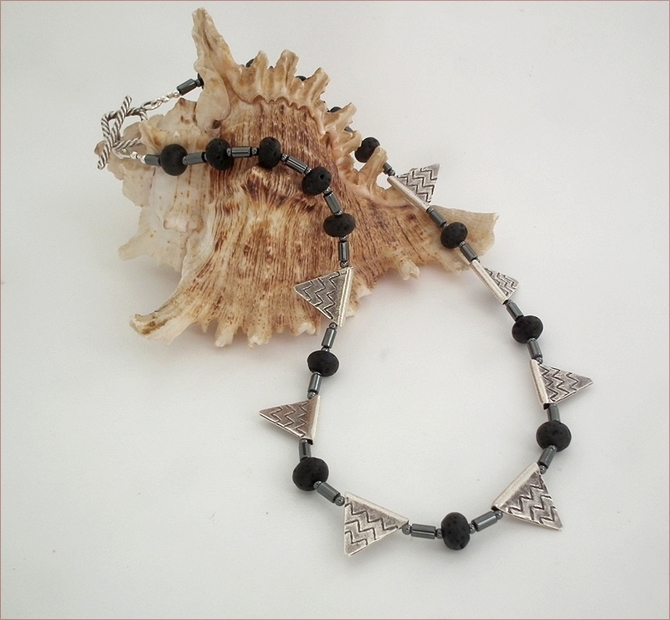 The necklace is 17" (444mm) long. This would look stunning worn with a white shirt and grey jacket! But it will look great with anything grey or lemon, orange or lime!